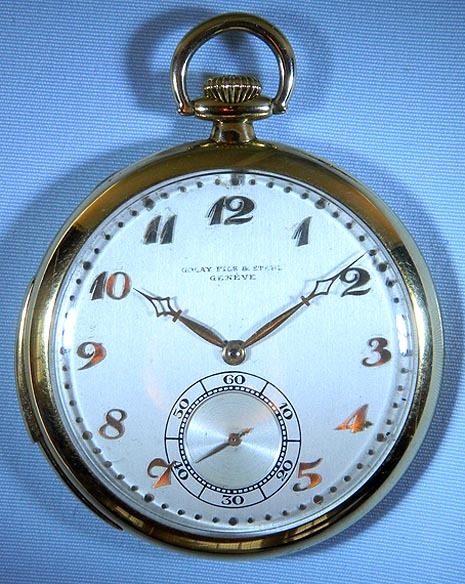 Fine slim Swiss 18K gold minute repeater antique pocket watch signed by Golay and made by Audemars Piguet, circa 1913. 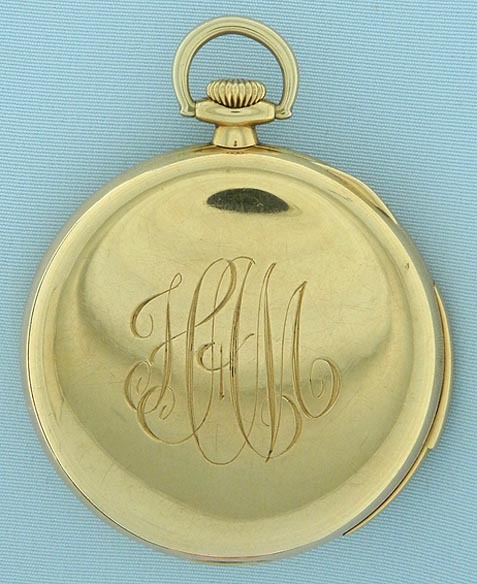 Original silver dial with applied gold numerals and markers and gold hands. 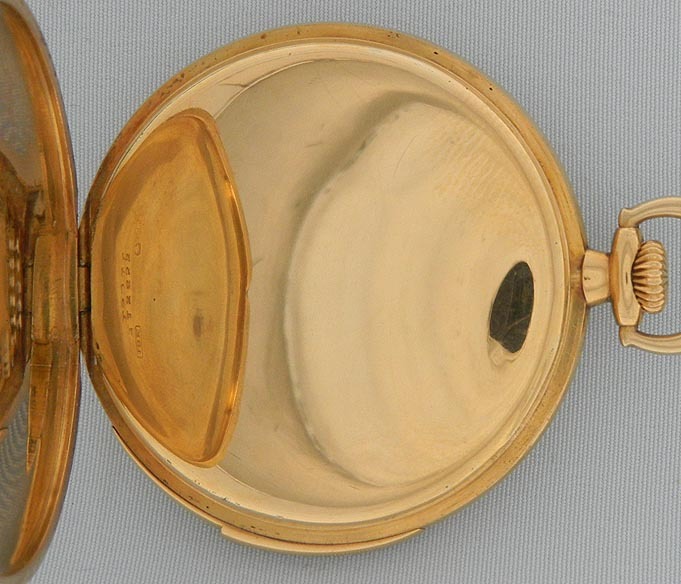 Plain polish case with hidden hinge. 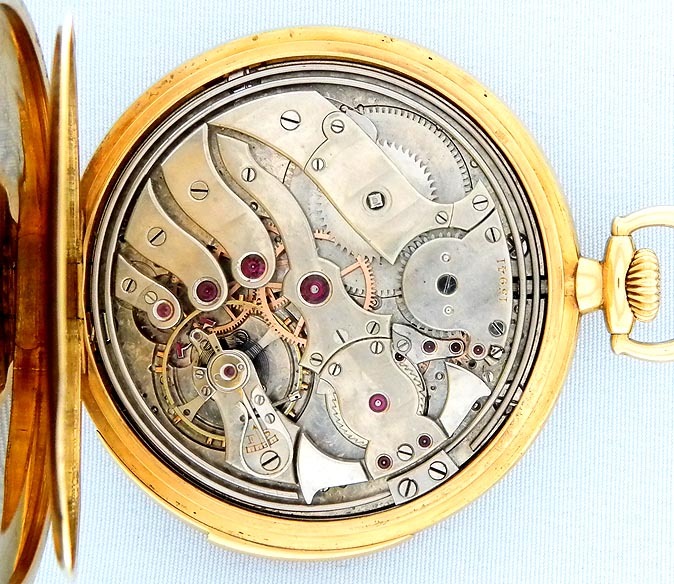 First quality 29 jewel movement with wolf's tooth winding and precision regulator. Jeweled to the center and the hammers. Repeater watches from this period made by Audemars Piguet incorporate distinctive "S" shaped bridges. Accompanied by an email from Audemars confirming that they made this movement.